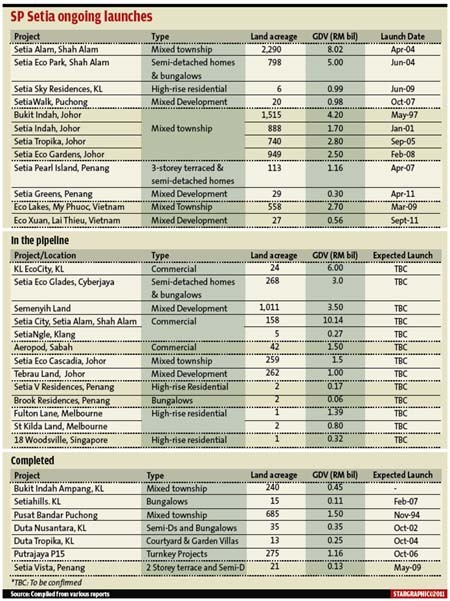 GEORGE TOWN: IJM Land Bhd is poised to set the bar in Penang and the rest of the country soon on how a fully-networked property development can spur economic growth. 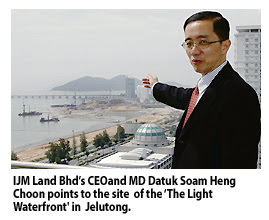 The company's flagship development - The Light Waterfront Penang - will offer a digital lifestyle to all its investors, thanks to fully fibre-to-the-home services and high-speed broadband connection to both residential and commercial investors within its 60.8 hectare project on Penang island. The move by IJM Land will give a boost to the Penang state government's efforts in bringing fibre-optics to home users on Penang island. "Thanks to IJM Land's efforts at future-proofing its properties in a greenfield development will stand out as a showcase, since it will soon offer its property owners 25 times more bandwidth from what Penang residents are currently having," Penang Telecommunications Task Force chairman Jeff Ooi told reporters after IJM Land, Astro Malaysia Holdings Sdn Bhd and TIME dot.Com Bhd inked a information and communications technology agreement at Menara IJM in Penang. Present at the event were IJM group chief executive officer and managing director Datuk The Kean Ming, IJM Land Bhd's chief executive and managing director Datuk Soam Heng Choon, TIME chief executive officer Afzal Abdul Rahim and Astro chief commercial officer Liew Swee Lin. Ooi, who is chairman of PDC Telecommunication Services Sdn Bhd and Jelutong Member of Parliament, has been working with telecommunications service providers such as TIME.dot.Com in laying 110km of fibre-optic cables around Penang island. "We are currently short-changing ourselves in Penang where we get only 4 megabytes per second in broadband services. IJM Land is now going to offer what is offered in Seoul, Korea with a 100 mbps broadband connection," Ooi said. 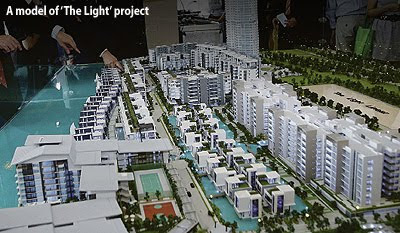 Touted as the "Jewel in the Crown" for IJM, the RM6.5 billion 'The Light' project will feature waterfront living with residential, recreational, entertainment, business, hospitality, education and commercial components in one central hub. "The offering of fibre-based services at The Light enhances efficiency and allows the flexibility to work from home," Soam said, adding that the use of fibre-optics complies with Malaysia's Green Building Index standard requirements. 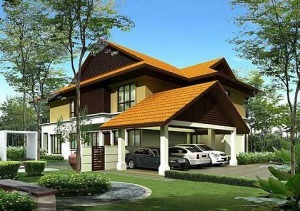 Niche development: The Setia Eco Park with its amazing landscaping and strong development concept in Shah Alam is the flagship development of the company. Liew’s prowess in building an oustanding franchise has made SP Setia synonymous with him. Tan Sri Liew Kee Sin, the chief architect of one of Malaysia's largest listed developer SP Setia Bhd, is faced with his biggest test - possibly ever. A highly volatile environment, a global economic slowdown cranking up the pressure on property prices as well as demand and thinning margins, all of which have led to property counters suffering a beating on the local bourse. And this - some of his peers in the property sector appear to be exiting their long-held and hard-fought investments. Even so, they pale by comparison to what could possibly be a Catch 22 situation which Liew found himself in over the week. 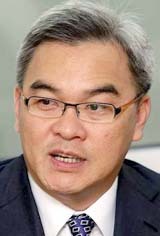 That circumstance was triggered by Permodalan Nasional Bhd (PNB), SP Setia's largest shareholder which surprised everyone (including Liew apparently) with a conditional general offer aimed at raising its stake to over 50% to cement control in the blue-chip developer after it triggered the takeover threshold of 33%. The offer, announced on Wednesday, was tagged at RM3.90 per share and 91 sen per warrant. Interestingly, SP Setia board, in the name of meeting its fiduciary duties, shot out a note to Bursa Malaysia that the deal fundamentally undervalued the company and that it was seeking competitive bids from other interested parties while urging PNB to revise its offer price upwards. 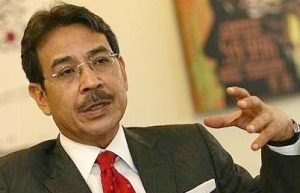 A day later, as the market was abuzz with PNB's ostensibly “hostile” offer, its president and chief executive officer Tan Sri Hamad Kama Piah Che Othman set out to explain the biggest question in everyone's mind - that it is the wish of the country's largest fund manager to continue to work with the current management of SP Setia (led by Liew) to deliver value to shareholders. Describing the offer price as fair and reasonable, PNB also says it intends to retain the developer's listed status. No one can deny that Liew, who currently owns just over 11% in SP Setia, has long been instrumental in the company's growth story not only in Malaysia but also in the region since he engineered a reverse takeover of SP Setia, then a construction firm, in 1996 and became the company's executive director and subsequently group managing director. Prior to that, Liew had worked in the banking sector for five years but it was in property development which he eventually embarked on where he found his true passion. In the mid 80s to 90s, he had cut his teeth in the property sector with large projects such as Bukit Indah Ampang and Pusat Bandar Puchong. Owing to Liew's prowess in having built an oustanding franchise, SP Setia has become somewhat synonymous with him. So, it came across as somewhat intriguing when PNB revealed its plan to raise its stake in the company it has invested in since 2000 and emerged as a 30% shareholder in 2008, more so because the move was construed not to have the “blessing” of the current management. This is however hard to believe considering the pivotal role played by Liew and his team in the group. 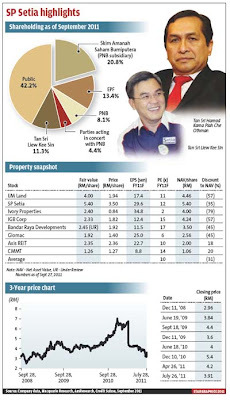 “SP Setia, without Tan Sri Liew and the management team, will not be worth RM3.90. Should Liew decide to take up the offer and cash-out, we believe a good number of his management will follow suit, and SP Setia could lose its ability to execute projects well,” said Credit Suisse in a research note. Therein may rest the rationale behind the offer price which most analysts predict may not be compelling for Liew, the company's key driver for 15 years, to accept. “The plan by PNB seems to be aimed at keeping Liew exactly where he is while gaining control of the company,” says an observer. Even so, a source says the takeover bid is highly unnerving for the staff of SP Setia who are “fiercely loyal to Liew.” Soon after the takeover notice was served on Wednesday morning, Liew called for a meeting with his faithful employees to reassure them that their jobs were safe. Hamad says the offer is in line with the fund's long-term strategy of enhancing property investments and beefing up its portfolio. But many are still wondering if there's more than meets the eye. One thing is clear - it should suit PNB's interest to retain the current management of SP Setia. Still the question remains only half answered - why did PNB, which owns 33% in SP Setia together with parties acting in concert, launch the offer? Was there a rift? Were they split on a certain plan? Sources close to the company say SP Setia's senior management has a strong working relationship with PNB as well as the other major shareholders namely the Employees Provident Fund (EPF), which has a 13.43% stake and Kumpulan Wang Persaraan, 5%. Foreign investors hold a 21% interest in SP Setia. EPF's decision on PNB's offer will be interesting to watch. PNB has two nominee directors on the board - Tan Sri Dr Wan Mohd Zahid Mohd Noordin and Datuk Noor Farida Mohd Ariffin. Sources close to the company say there was no indication from these directors, on behalf of the shareholder, at any time that there was any unhappiness or dissatisfaction about the company's business direction or how it was being managed. One speculation is that PNB is concerned that given the depressed market sentiments and the undervalued stock, another party could emerge as a major shareholder in SP Setia. (SP Setia shares fell to the year's low at RM3.06 on Sept 22). That may not be too far off the mark. It is believed that SP Setia and Sime Darby Bhd (a company in which PNB, Skim Amanah Saham Bumiputera and Pengurusan Pelaburan ASN Bhd have a combine 48.35% stake) are in talks for a plan to swap Sime's landbank for shares in SP Setia as part of a joint venture deal. If the deal had panned out, Sime Darby would have emerged as a major shareholder with 20% in SP Setia. In turn, SP Setia would have acquired RM2bil worth of Sime Darby's strategic landbank along the Guthrie Corridor Expressway and in Labu, Negri Sembilan. As this would have involved issuance of new SP Setia shares, PNB's stake in the developer would have been diluted. According to observers, the top management of Sime Darby and PNB do not always see eye to eye, which if correct, could explain PNB's move to wrest control of the property stalwart. There's also another speculation. An observer says Liew could have been toying with the idea to exit his long-built investment in SP Setia. However sources close to him vehemently deny this. “He is definitely not behaving as a man who is looking to sell out. If anything, he seems just as committed to grow the company, not least because there's a lot left to do and there's much potential growth to be tapped further,” says an observer. But could Liew, understandably so, be holding out for a higher price? This notion was partly sparked by the board's move to invite competing takeover bids and call to PNB to revise its offer upwards. “The concern now is that if too many shareholders decide to take up the offer, PNB and the PACs may end up having more than they set out to get and would have to pare down their stakes to maintain the 25% public shareholding spread,” the source says. Indeed, the notice of takeover offer issued by Maybank Investment Bank Bhd does state that should the level of acceptances received by the offeror result in the public shareholding spread of the company being less than 25%, then the offeror will explore various options or proposals to rectify the public shareholding spread. Detractors of PNB's plan describe it as part of a bigger government-linked company (GLC) agenda gobbling up private businesses, not unlike UEM Land Bhd-Sunrise Bhd and Sime Darby Bhd-Eastern & Oriental Bhd deals and by doing so, “crowding out” the entrepreneur-driven private sector. (UEM Land Holdings Bhd's RM1.39bil acquisition of Sunrise Bhd was completed earlier in the year and Sime Darby recently acquired a 30% stake in E&O for RM766mil). “This may not send the right message across. Entrepreneurs will think twice about their role in this country if they build a good company and create value only to see it being swallowed up by government agencies flexing their muscles,” says an observer, adding that this was counter to the Government's calls over the past two years for the private sector to lead in the economic transformation agenda. However, E&O managing director Datuk Terry Tham (he sold 12.2% of a 17.3% stake) and Sunrise executive chairman Datuk Tong Kooi Ong (sold his 24.6% interest in Sunrise) exited at a good price which meant these deals were largely market-driven. Furthermore, in the case of E&O, the company needed capital to develop its flagship project Seri Tanjung Pinang in Penang while in the case of Sunrise, notable for its focus on Mont'Kiara in Kuala Lumpur, the lack of landbank was a prime reason for the company to seek a merger to grow. In addition, the waning landbank faced by these developers and the need to plough in more investments to acquire and develop land are compelling factors for self-made entrepreneurs who feel they have already served time growing their investments and this may be a good time to exit. The ability to secure a “decent” offer price for their shares of course is one major factor. Truth is, as far as shareholding is concerned, SP Setia is infact a GLC; government-linked funds PNB, EPF and KWAP collectively own 52% in the company. This has its obvious benefits. SP Setia has won a number of bids to develop strategic parcels of land particularly in and around the central Klang Valley. The market's reaction to PNB's takeover offer for SP Setia's shares have been guarded as many do not discount a higher offer price from the offeror or from another party. While the offer price for the shares represent an 11.4% premium and the offer price to the warrant represent a 97.8% premium to Tuesday's closing prices, a number of analysts point out that the offer price for the shares is lower than the revised net asset value (RNAV) of the company of between RM4.50 and RM5. A number of analysts view the offer as positive in the short-term but wonder about the longer-term. CIMB Investment Bank Bhd research head Terence Wong says in a report that the conditional offer is positive for SP Setia's share price in the short-term as it is 11% above the last traded price and should provide a floor price during this period of global stockmarket turbulence. “But the longer-term implications of the offer could be more complicated. SP Setia is awaiting details from PNB on the level of control that PNB may want to exert after increasing its stake,” he says. Due to SP Setia's board seeking alternative bids and a higher price from PNB, Wong posits two scenarios, one of which sees Liew and his management team continuing to run the company with the asset manager going into joint ventures or injecting landbank into SP Setia at arm's length prices. He says in this scenario, as a PNB subsidiary, the company will have access to vast landbank across the country as well as a better chance at securing land privatisation projects such as the Rubber Research Institute land. Wong says due to enhanced prospects, the company's share price may scale new highs when markets rebound and the properties regain favour. However, the worst-case scenario sees Liew accepting the offer (presumably higher than what's currently on the table) by PNB or another party, thereby depriving the asset manager and the company of one of the most dynamic and aggressive CEOs in not just the property industry but in the country. “As SP Setia's employees are loyal to him, it is conceivable that many will want to join him in his next endeavour. In such a scenario, the price may turn out to be very high for PNB as it will end up with a company with a lot of landbank but without the senior management necessary to execute those projects,” Wong says. In this scenario, he says the premium valuations (financial year ending Dec 31 of 26 times based on RM3.90) that the company commands as the bellwether and best-managed property company in Malaysia may start to disappear. RHB Research Institute Sdn Bhd analyst Loong Kok Wen recommends shareholders to accept the offer. Her rationale is that with a downturn in the property industry, the “offer gives another opportunity to shareholders who wish to exit in the midst of short-term cyclical downturn”. She says in the longer-term, when the stock market and property industry turned positive, there may be a possibility that PNB will inject I&P Group Sdn Bhd (its property arm that is a merger of three companies - Island & Peninsular, Petaling Garden Bhd and Pelangi Bhd) into SP Setia. 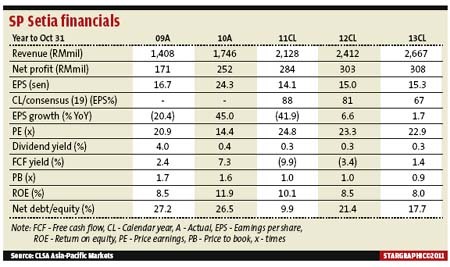 “The offer price also suggests a 13% premium to our estimated RNAV (which has been reduced recently with our sector downgrade) and FY11 price/earnings of 20.7 times,” Loong says. She adds that the price is 16% off the 52-week high of RM4.62 and only 3 sen to 4 sen above the recent placement price of RM3.86 (adjusted for bonus issue). In short, views among the analyst fraternity appear largely mixed on whether or not shareholders should accept PNB's offer. This of course fits in perfectly with PNB's agenda - to become a formidable shareholder while keeping the company listed. But for shareholders looking for a handsome exit plan, it's a reason for resentment. PETALING JAYA: Permodalan Nasional Bhd (PNB) has bought an additional 23.5 million shares in its takeover target, SP Setia Bhd, in the open market for RM3.868 a share, just 3.2 sen shy of its proposed takeover price of RM3.90. Maybank Investment Bank Bhd, acting on behalf of PNB, told Bursa Malaysia that the extra 1.3% stake was purchased on Thursday. On Wednesday, PNB offered to acquire SP Setia shares at RM3.90 each and 91 sen per warrant, which works out to a premium of 11.4% for the ordinary shares and 97.8% for the warrants compared with the pre-suspension closing prices on Tuesday. The mandatory general offer was triggered after PNB’s stake in SP Setia exceeded the 33% threshold on Tuesday following recent open market purchases. A foreign bank-backed analyst said PNB might be strengthening its position in SP Setia to show its commitment to the proposed takeover offer. “While this is not a drastic increase, it enhances the deal’s certainty. The same thing happened when CIMB Group Holdings Bhd attempted to take over Southern Bank,” he said. Another banking analyst said it was possible that the move was just a simple business decision on PNB’s part. “They bought the 23.5 million shares at a slight discount to its general offer. It is an opportunistic move to get extra stock on the cheap, and why not? I would do the same,” he said. Liew is widely credited for having steered SP Setia since 1996 to where it is today and instilled an entrepreneurial spirit in the company. SP Setia currently has a market capitalisation of RM6.9bil, based on its closing price of RM3.89. PNB had in a statement expressed confidence in SP Setia’s existing management team and reiterated that, as stated in the notice of takeover, it had every intention of retaining the listed status of the company. However, SP Setia’s board turned down the offer on the same day and said it was seeking competitive bids as PNB’s bid undervalued the company based on external valuations done before the takeover offer by investment analysts. SP Setia added that it would appoint an independent adviser soon. Beyond seeking competing bids from other interested parties, SP Setia will enquire if PNB is interested in revisiting its offer price. “Based on current regulations, for the offer to be able to proceed, PNB has to obtain the number of acceptances such that it results in PNB owning more than 50% of the total share base of SP Setia. It currently owns 33.16%, implying PNB needs at least 17% of shareholders to accept for the offer to proceed,” said Nomura Equity Research in a report. HwangDBS Vickers Research had stated that the 50% acceptance was achievable, what with Kumpulan Wang Pesaaran and the Employees Provident Fund (EPF), both state-owned investment funds, collectively having an 18% stake in SP Setia. After PNB, the EPF and Liew are the second and third largest shareholders of SP Setia, with 13.37% and 11.26% respectively, according to Bloomberg. SP Setia shares closed two sen higher at RM3.89. It must be great to have so much firepower at your fingertips. But it is also a huge responsibility. How do you get your target and keep it intact at the same time? It's the old question of having your cake and eating it too. That's a dilemma that not just Permodalan Nasional Bhd (PNB) but many government-linked companies (GLCs) face. They have the money to buy over property companies but if they don't do it right, they stand the risk of losing the people behind these companies. If the worst happens the staff leave, the company is unable to undertake its projects, quality of houses and other developments drop, launches get less imaginative, public perception deteriorates, and, ultimately, value gets destroyed. By seeking to own the golden goose body and soul, it is sometimes killed. Occasionally, there is in the corporate world a very thin line between protecting and enhancing your investments and making a wrong move which may send their value plummeting down, if not immediately, in time. The latest episode (see our cover story this issue) has raised eyebrows not least because of the manner in which PNB has made its bid for one of most respected and admired property companies in Malaysia, SP Setia. PNB already has about a 33% stake in SP Setia but is seeking to raise this stake to over 50% by offering RM3.90 a share, about an 11% premium over the closing price before the announcement of its notice of takeover. It offered 91 sen per warrant, a premium of nearly 100%. It has had its stake of just under 33%, the point at which a general takeover offer is triggered under the takeover code, since 2008 but pushed this to just over trigger point on Tuesday and announced its intention for a takeover the following morning. The offer is conditional upon PNB getting control of SP Setia. PNB also announced its intention of keeping SP Setia listed by ensuring a shareholding spread even if it got more than 90% of the offer shares. Initial calculations based on 75% control and acquisition of all warrants indicate that the takeover could cost PNB over RM3 billion, a lot of money for most private investors in Malaysia but a mere drop in the ocean for PNB which has over RM150 billion under management. It's the second largest fund manager in the country after EPF which is twice as big with over RM300 billion in funds. But PNB is probably the largest equity investor in the country because of a much higher proportion of funds invested in equity. There is hardly a major listed company in Malaysia in which PNB does not have a stake. The big puzzle is why has PNB launched this takeover offer which could potentially affect adversely the value of its quarry? What was PNB fearing? Was it just a matter of increasing its stake in a depressed market which undervalued SP Setia's assets or was there something else? And why did it not consult with senior management and shareholders even after its notice of takeover? At this stage one can only conjecture on the answers and make educated guesses. But first, what's wrong if PNB took a majority stake? Previously SP Setia had PNB as a major but not a majority shareholder. PNB did not intervene in management and had two board representatives. If the SP Setia board put up a proposal for shareholder approval, PNB cannot by itself stop it if other shareholders supported it. They include the Employees Provident Fund (EPF) with 13.4%, SP Setia president and CEO Tan Sri Liew Kee Sin with 11.26% and Kumpulan Wang Amanah Persaraan or KWAP with five per cent. 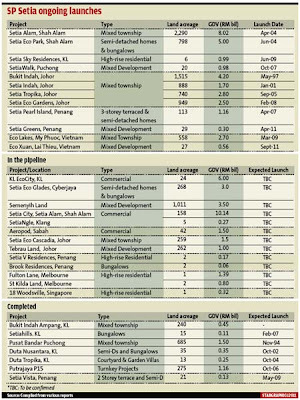 One must still note that the government-linked funds or GLFs already control over 51% of SP Setia. But with PNB alone poised to take over a 50% stake, feathers are being ruffled and questions are being asked as to what that means. What would have been the ideal situation for SP Setia? Four factors would have contributed. An independent management, a good board which represented all parties, strong minority shareholders, and a diversified institutional base so that no shareholder dominated. 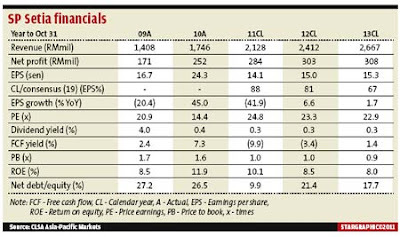 The first three are pretty much in place but the fourth was not achieved because PNB had since 2008 been holding a stake of just under 33% and with two other GLFs, the stake came to over 50%. But was there a way of dispersing shareholding? One deal being negotiated, it was reported, was for Sime Daby, a PNB company, to take a 20% stake through the issue of new shares in exchange for land banks. If it had come through, it would have helped to dilute PNB's shareholding. Still, Sime is related. The underlying problem is this. GLFs and GLCs have lots of money and not many places to put them in. Good companies attract their attention but if they take control, and especially if they take management control as well, the move can destroy value. Some of PNB's property purchase and privatisation acts in the past have not been particularly successful, if at all. The major reason is key staff leave after GLCs take control. That's a phenomenon that's happened quite a few times. So far, PNB's stake in SP Setia had not been a problem. PNB had its two board representatives and it was quite satisfied with its stake. A balance seemed to have been reached with senior management, especially Liew who is also a major shareholder. But that has been thrown askew with PNB's latest move. Part of the solution will be to convince the market that there will not be management interference unless things go wrong. But the only assurance of that is if stakes are far below 50%, perhaps not more than 30%. PNB is primarily a passive investor. Thus its motivation should not be to stop dilution of its shareholding or moves to widen shareholding among companies it owns. Control should not be its primary aim. Instead, it must focus on getting best value for its current stake, which may well be achieved by continuing to be clearly a passive investor. That's better than having a bigger stake in a less valuable company. Perhaps it could have put its RM3bil in other investments. But it looks like it's a bit too late for that. Managing editor P Gunasegaram is plainly perplexed by PNB's bid to take over SP Setia. Any explanations? In 2007, state fund Permodalan Nasional Bhd took over property developer Petaling Garden Bhd. Prior to this, PNB also made a bid and succeeded with Island & Peninsular Bhd group (I&P). In 2005, it made a bid to take Pelangi Bhd, another property firm, private. The I&P group is today a combination of all three groups and has a landbank of over 5,000 acres in the Klang Valley and Johor. The group, wholly owned by PNB, is known for the successful developments of projects such as Bukit Damansara, Bandar Kinrara, Alam Damai, Alam Impian, Alam Sari, Temasya Glenmarie and Bandar Baru Seri Petaling in the Klang Valley as well as Taman Pelangi and Taman Perling in Johor. For this year, it plans to launch developments exceeding RM2bil. The group's managing director Datuk Jamaludin Osman says the property developer is on track for another year of strong financial performance, after achieving sales of more than RM1bil last year. Also in 2007, PNB, through Synergy Drive Bhd merged Golden Hope Plantations Bhd, Kumpulan Guthrie Bhd and Sime Darby Bhd group of companies. Although all three were predominantly plantation companies, they had large landbank and were also involved in property development. The strategy was to take out the property segment of these companies and put them in a separate folder. The merger subsequently resulted in a re-listing using the Sime Darby name. Today, I&P group has more than 5,000 acres while Sime Darby, after the mega-merger, has a massive and undeveloped landbank of 37,000 acres, as well as 126,000 acres in Sime Darby Vision Valley. When it took over Eastern & Oriental Bhd, it added 1,500 acres more. He says despite the size and market capitalisation, a close scrutiny of the numbers will reveal that the margins may not be that attractive. Taking a broader view, a property consultant says Malaysia is a free market and the institutionalising of property companies will affect the strength and character of the market. “If we consider the forefront property companies, it is the older entrepreneur-led ones that have shown the most innovation, product differentiation and are the most popular. These property companies have led the way. “In 2008, after the financial crisis sparked off by the fall of Lehman Brothers, SP Setia was the first developer to come out with a different response. It worked with the banks and introduced the 5/95 scheme which kicked off in the first quarter of 2009. “Good or bad, not all of us will like the scheme. But that led the way out for other developers and eventually the banking sector. Both these sectors are crucial in any economy,” says the valuer. The company's “live, learn, work, play” tagline also advanced forms of properties into the market. Another company that has emerged strong is the Mah Sing group. “In terms of energy, these entrepreneur-driven companies are different. Institutional giants have difficulties keeping their cost down and their margins up. The strength of the market is at the end of the day a free market. “Competition is key to success for any market. When entrepreneurs compete with each other, the greatest good can be brought into the market. Institutional developers will not compete head on with each other and this is detrimental to the market. “Also, too many institutional developers also lead to de facto monopolies,” he says, referring to the takeover by Sime Darby group of lifestyle housing developer E&O group a month ago, and UEM group's takeover of Sunrise Bhd, which is known for its condominium branding in Mont'Kiara. PNB owns Sime Darby group while UEM belongs to government-linked Khazanah Holdings Bhd. Although PNB has issued a statement that it has confidence in the existing management team at SP Setia and that the company will continue to be listed, many question the way it went about it. PNB president and group chief executive Tan Sri Hamad Kama Piah Che Othman said in a statement: “The offer is in line with PNB's long term strategy of enhancing its investments in the property sector. We are confident in the prospects of the sector in Malaysia which has strong fundamentals and potential for future growth. PNB is a fund manager, says a consultant. Its duty is to seek companies of value and hopefully the companies it invests in will continue to create value over the long term. The duty and responsibility of a company, whether PNB has a stake or not, is to create shareholder value and safeguard the interest of shareholders, including the minority interest. “There is a clear division of duties and responsibilities between a fund manager and a property developer and it does not bode well to muddy the lines which separate the two distinct entities. There is also the fiduciary duty to protect minority interests,” he says. Various case scenarios have been brought up. If PNB agrees to up the price and gets its 51% stake, will Liew stay? Will his management team remain intact? From the various recorded history, he is an entreprenuer. Liew will want to call the shots. The company is known for its speed of execution and innovative decisions. Will the environment which has led to the company's success remain? Somebody will have to smooth the ruffled feathers. Another scenario PNB teams up with the Employees' Provident Fund and Kumpulan Wang Persaraan and the whole thing comes to a close with some shareholders cashing out, enabling PNB to have its 51% stake. But this could be construed as Government-linked agencies ganging up against entrepreneurial-led businesses which could leave a blemish on Corporate Malaysia. The intended takeover could also throw up another scenario - will there be another suitor? But which other deep pocket would be bold enough to go against the country's largest asset manager? KUALA LUMPUR: UOA Development Bhd plans to partner one of Vietnam's leading construction company Hoa Binh Construction to develop a residential area in Sri Petaling. In a statement, UOA said it has signed a memorandum of understanding (MOU) with Hoa Binh Construction and Real Estate Corp for this project. Both parties have identified the area and it is the up and coming Sri Petaling area. They plan to develop 670 units of condominiums with an estimated gross development value of RM400 million. The MOU was signed yesterday by Le Viet Hai, chairman and chief executive of Hoa Binh Corp and Kong Chong Soon, managing director of UOA, in the presence of Truong Tan Sang the president of the Socialist Republic of Vietnam during his visit to Kuala Lumpur, recently. "The MOU plans to explore a synergy of construction capabilities for projects in Malaysia, Vietnam and the region. UOA is confident that the strategic construction collaboration with Hoa Binh Corp will complement UOA's existing construction arm in its developments." Under the MOU, both companies will, among others, collaborate and exchange construction knowledge and expertise. Work for the Sri Petaling project is due to start in the fourth quarter of 2011 and the project is slated for completion towards the end of 2013. KUALA LUMPUR: UOA Development Bhd and Vietnam-based Hoa Binh Construction and Real Estate Corp will jointly develop the Sri Petaling residential project. The project would comprise 670 condominium units and would have a gross development value of RM400mil, UOA said in a statement. It said work on the project was scheduled to commence in the fourth quarter for completion by end-2013. Both companies signed a memorandum of understanding (MoU) yesterday. As part of the MoU, a commitment was made by UOA and Hoa Binh to explore a synergy of construction capabilities for projects in Malaysia, Vietnam and other parts of the region. UOA said it was confident that the strategic collaboration with Hoa Binh would complement its existing construction activities. KUALA LUMPUR: UDA Holdings Bhd and Pasdec Corp Sdn Bhd have signed a memorandum of understanding (MoU) to jointly undertake a commercial development on 60ha in Bukit Tinggi, Pahang. Pasdec Corp is a wholly-owned subsidiary of Pasdec Holdings Bhd. UDA Holdings chairman Datuk Nur Jazlan Mohamed said the land would be developed on a commercial basis. However, the form of the development was still being studied, he said. Nur Jazlan: The timing is right and the land can be developed. “We have an idea what to do. The project may not be fully commercial in the short term (but) there's potential. The timing is right and the land can be developed. “We may also look into building something like a training centre,” he said after the MoU signing. Nur Jazlan said details of the project would be disclosed later. He said both parties would share their expertise, experience and information as well as contribute to the socio-economic improvement of the local people when the project was implemented. “This cooperation is deemed as a prelude for a joint venture between UDA and Pasdec. Hopefully, after this, UDA will be given the trust to be involved directly in other development projects in Pahang,” he said. KUALA LUMPUR: Malaysia Building Society Bhd (MBSB) has expressed disappointment over media reports that non-financial institutions are undercutting banks by offering cheap personal loans leading to excessive competition in the banking sector. 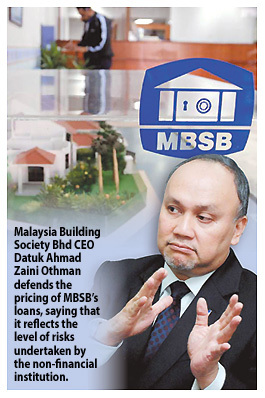 Its chief executive officer, Datuk Ahmad Zaini Othman, defended the pricing of MBSB's loans, saying that it reflects the level of risks undertaken by the non-financial institution. The reports were misleading the public and conveyed a negative picture of MBSB, the oldest local financial institution in the country, he said in a statement yesterday, in response to statements that excessive competition was compelling some banks to drop their prices below economic levels. He said that MBSB had made an impact in the industry in mid-2009 when it re-entered the market and provided personal financing-i (PF-i) to government employees at the lowest rate of 4.90 per cent per year. "This was markedly lower than most rates then which were above 7.50 per cent. It was also significantly lower than another source of financing - credit cards, at between 13.5 per cent to 17.5 per cent or its cash advance withdrawals at the maximum of 18 per cent. "MBSB believes that the rate offered is the true reflection of the level of risks undertaken by MBSB as repayment is collected via salary deduction," he said. He said that the government employees' PF-i loan amount is arrived at by ensuring that the total deductions (including PF-i instalment) do not exceed 60 per cent of an employee's income, hence leaving the person with a balance of 40 per cent of net disposable income. "As government servants would obtain their vehicle hire-purchase and housing finance from the government due to the lower rates offered in relation to those offered by the banks, these instalments, which appear on their salary slips, have been factored in as well. "Hence, the government servants do take home sufficient pay to cover their living expenses," Ahmad Zaini said.